Who Keep Us On the Air! 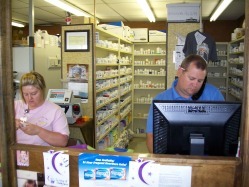 Diket's Drugs has been your hometown pharmacy for years and has helped sponsor the Front Porch Show since we began broadcasting. Tired of being just a number waiting in a long line to get your persciptions filled? At Diket's the service is fast and friendly and they know you by name. Trey and the girls always give you service with a smile. Diket's is located across from South Central Regional Medical Center in Laurel. Christmas Candle Light Tour will be December 18th, 2010 starting at 4:30 until 8:00 p.m. Don't miss the beautiful lights as you walk back into Christmas past. Tell them the Front Porch crew sent you. Listen above for more details. See history come alive at Landrum's Homestead and Village. Step back in time into a late 1800's village and see first hand how people lived in that day. See an old country school house, a blacksmith at work, a water mill grinding corn and much more. When the Front Porch crew visits Landrum's they love the shooting gallery. Uncle Arthur claims he's a sharpe shooter and Reed and James try their luck out shooting him but usually fail. 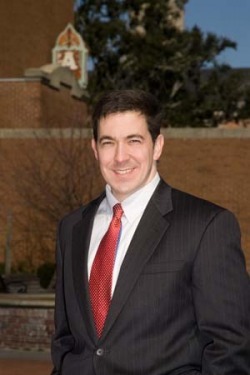 Chris McDaniel is State Senator of District 42 in Jones Co. Mississippi. He has been Senator since 2008. Sen. McDaniel has sponsored The Front Porch Show in Wiggins, MS on WIGG. Here on the Front Porch we consider him a friend. And we thank Chris for all his hard work in standing up for conservative values that make this great country what it is. Sen. McDaniel is a true partriot and we consider it an honor to have him help bring our show to the people. Chris is also the creator of his own radio show called "The Right Side." The Bar W has all your seed for spring planting. Good folks having good conversation at the Bar W.
Whatever you need for the outdoors the Bar W. in Myrick, MS has it all. Need animal feed? They've got you covered for any kind of feed for just about any kind of animal except Zebras. (Don't think they have feed for that.) The Bar W. also has fishing supplies and live bait. (Crikets, minnows.) It's spring planting time and the Bar W. has all the seed you'll need. Need something for your horse? The Bar W. has horse tack, saddles, bridals, and adding more each day. The Bar W also has basic needs for the home. Pest control products, plumbing and other things to fix an odd job around the house. Come out to the Bar W located on Lower Myrick Rd. right next to David's Gro. While you're there pull up a chair and get in on the conversation. Can't say it's all true, but it's interesting. The Bar W. is a proud sponsor of The Front Porch Show in their effort to spread the good news of Jesus Christ.